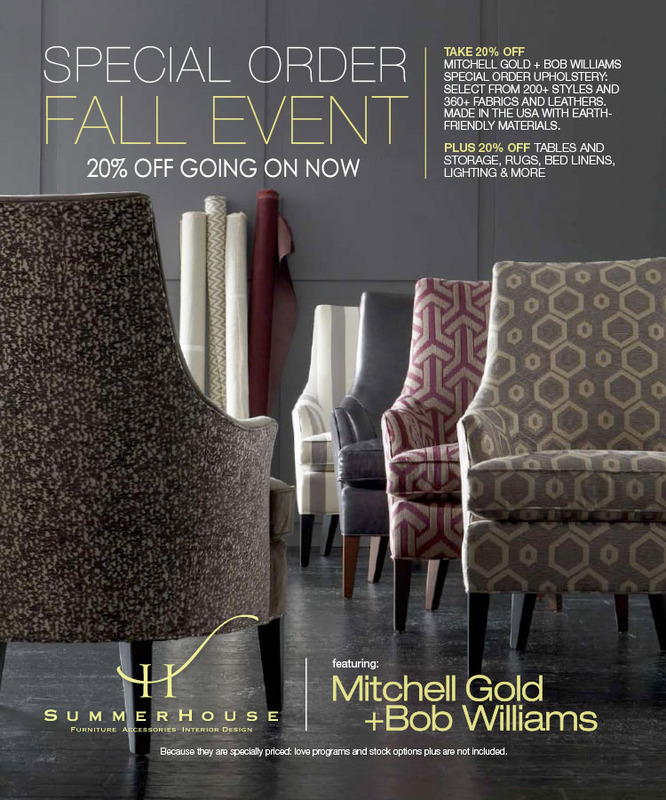 The Mitchell Gold + Bob Williams Special Order Plus Event! Not only are we offering 20% off on MGBW special orders (a few exclusions do apply), but we’re offering discounts on the Mitchell Gold items we have in stock, too! Our design staff is always happy to answer any questions, so come see us or give us a call to learn more about this exciting event!